The best way to take AP processes forward is with automation. If implemented properly, it can increase your AP department’s efficiency, reduce errors, help you secure early pay discounts, improve cash flow, and much more. But to realize these benefits, you, as the chief financial officer (CFO), must ask the following questions. Automating invoices goes more smoothly when you have clear goals. For instance, you may want to decrease the number of late fee incidents, reduce the cost per invoice, or create new approval workflows within the first six months of rolling out your AP automation solution. It’s important to be as specific as possible during this phase because it will give you a deadline and a way to measure your success. Once you’ve defined your goals, ask yourself what solutions are required to meet them. If your company receives invoices via email, fax, and other business apps, do you need a system that captures invoices from any device or format? 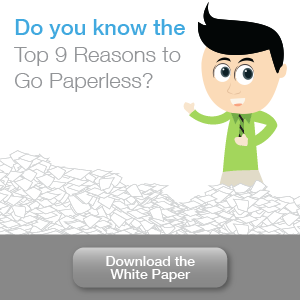 And when documents are captured, how can you reduce processing times and make sure invoices can be easily retrieved? 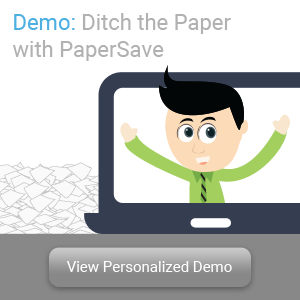 For most companies, a document management system (DMS) like PaperSave is the solution. Not only do they extract key details from invoices using a feature called “optical character recognition,” but they also apply artificial intelligence to understand the invoice data and sort them appropriately. What’s more, DMS stores files in a centralized repository where users can retrieve files with simple search queries and design workflows to automate AP procedures. Have standardized workflows been established? Developing a solid automation strategy requires you to map out your entire invoice-to-pay process. You need to know how invoices arrive and who they’re supposed to go to after they’ve been captured, indexed, and approved. This will help you design automated, multistep workflows that route invoices and purchase orders to the right people. Ideally, your workflows should be able to route invoice approval requests to specific managers based on amounts, vendor name, and billing type. They must also be able to automatically post approved invoices to your accounting systems to eliminate multiple data entries and errors. To reduce late fees, you can program a workflow that sends automated email reminders when an unreconciled invoice is nearing its due date. How will employees spend their time? Automation software saves your workers from mundane invoice processing tasks that eat a huge chunk of their day. This, however, raises the question of what they’ll do when their daily schedules are freed up. Rather than simply downsizing your AP department, automation software enables employees to focus on more value-added tasks for the company. They’ll have more time to negotiate with suppliers, process invoice exceptions, audit the books, and look for more opportunities to streamline AP workflows. That’s why you must inform your employees about their new responsibilities when automated processes kick in. Make sure your automated procedures work. This involves checking whether or not data is properly captured and invoices are routed to the right people. You should also track how employees are adapting to the new system. Audit your invoices, and if there are still processing errors being made, you may need to retrain your staff. 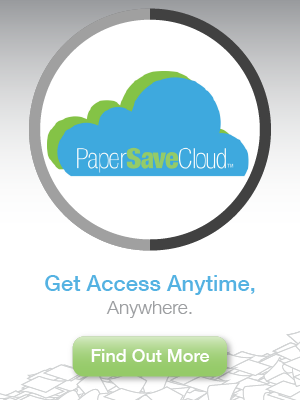 PaperSave is the superior solution when it comes to automating AP processes. We offer a feature-rich DMS that comes with advanced document capture, search, and electronic workflows. Automating invoices is incredibly intuitive with our software — just sign up for our free personalized demo to try it out!